The board of directors of Yahoo have finally agreed on acquiring Tumblr, a popular blogging platform, to strengthen itself in the social media world. Yahoo! has been off quite lately after the epic rise of Google in the search engine arena and Facebook, the best social media site. There were simply no place for Yahoo! to fit in. Ever since Marissa Myer, CEO of Yahoo!, stepped into the office, she chalked out a plan to bring back Yahoo! from the grave. Buying Tumblr might have been one of them. 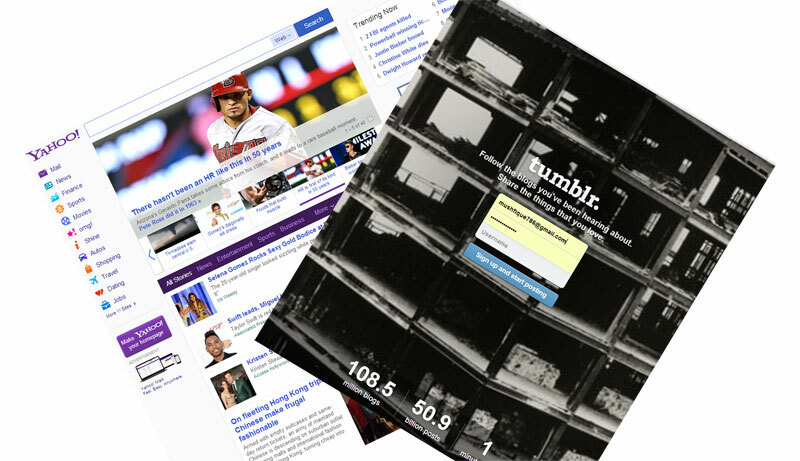 Tumblr was founded in 2007 where users are allowed to blog, post photos, follow others and get updates via a feed. There are currently 108.1 million blogs with 50.8 billion posts which indicates it being a very high interactive social platform. According to a recent tweet by Wall Street Journal, the Yahoo! board of directors have agreed on this risky and bold deal but there was no response from Tumblr’s end yet. Mayer was very interested and focused on Tumblr six weeks ago and was sure that this was indeed the right platform for Yahoo to excel further. Yahoo! will be holding a conference this Monday where we presume they will be announcing the deal officially.